Ahead of the MINEX Eurasia Forum taking place in London on 23 November (https://minexeurasia.com/2018 ) the DIT teams of the British Embassy in Kazakhstan and Mongolia are organising the incoming visit of a high-level mining delegation to the United Kingdom. During the busy program aimed at boosting trade and investment links with UK suppliers and capital markets, the delegations will be taking part in the MINEX Eurasia. The DIT mining team invited Arthur Poliakov, Head of MINEX Forum, to share his expectations for the forthcoming forum with the incoming delegations and a wider network of companies interested in developing business links with the Eurasian mining markets. Arthur, tell us a little bit about MINEX Eurasia. We understand that the Forum is one of the most important events taking place in the United Kingdom with a focus on the mining sphere in the Eurasian region. 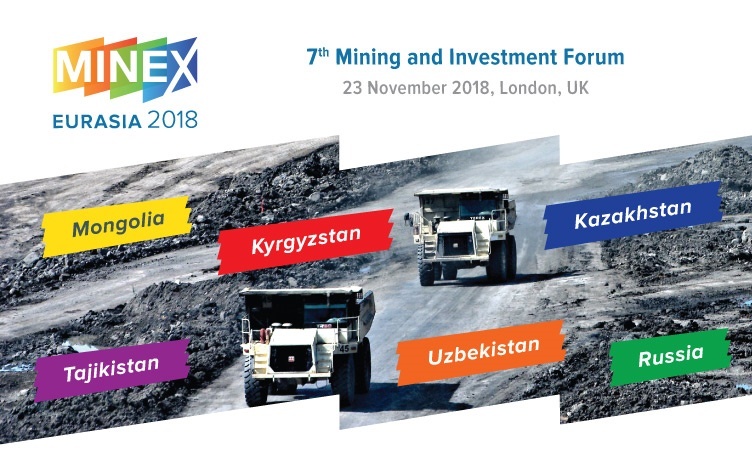 MINEX Eurasia Forum has been taking place since 2012 and at present is the only Mining event held in the United Kingdom with a focus on securing investment and developing trade relations with the countries of the Eurasian continent. In London, you will find the headquarters of leading banks and investment funds financing the largest mining projects in practically every corner of the globe, and even beyond it, (thanks to interest in deep-sea and asteroid mining). Through the London Stock Exchange’s Alternative Investment Market junior mining companies can raise long-term capital to fund mineral exploration. For this reason, MINEX Eurasia was first and foremost conceived as an investment forum to allow mining companies to present their plans to investors and financiers looking for business opportunities in the countries of the Eurasian continent. Previous forums featured presentations from the companies developing mining assets in Kazakhstan, Russia, Mongolia, Uzbekistan, Kyrgyzstan, Tajikistan, Azerbaijan, Ukraine, and Eastern and Central European countries. Apart from investors, and mining and metals companies, the Forum regularly attracts exporters of mining equipment, mining consultants, service companies, technology companies, export finance agencies, academics, NGOs, and international media. For many companies, MINEX Eurasia has created business contacts leading to the signing of contracts and the opening of regional offices. MINEX Eurasia is taking place this year for the seventh time. What have you been able to achieve since 2012? The main achievement has been that MINEX Eurasia continues to be a relevant event and that there is tremendous interest in it from the industry. Competitors have come and gone, as many events struggle with the challenges of working with the countries of the Eurasian continent. At each MINEX Eurasia Forum, you will find new faces and new companies. We often experiment with the content and try to create an edge to the panel discussions. Many of the things we have tried have come off. Some haven’t, but that’s fine. What matters most is that the Forum is a vibrant and not a stagnant event, and has avoided becoming a get-together for some in-crowd. I see this as being our principal achievement. This year, around 200 delegates from 15 countries will be participating. The majority are from mining companies, banks, investment funds, stock exchanges, consulting companies, and equipment and technology providers. We are honoured to have the ambassadors of Mongolia, Kazakhstan, Uzbekistan, Tajikistan and Kyrgyzstan join us this year. We are also delighted to note the high level of interest from Mongolian and Kazakh companies who have chosen the Forum as a platform for presenting their plans for accessing international capital markets. We are particularly interested to hear from experts from the Ministry of Mining and Heavy Industry of Mongolia, and from Erdenes Tavantolgoi, the largest coal mining company in the country, who will present their plans for an IPO. In the Kazakhstan session, we will hear presentations from the CEOs of Tau-Ken Samruk and Central Asia Metals. Altyn Almas will present their case for the creation in Kazakhstan of one of the first mines with fully digitalised production, which the company hopes to scale up to Kazakhstan, Russia and other countries. During the Forum, the traditional session focused on mining in Russia will be held. Sanctions risks in the mining sector will be analysed by GPW, one of the leading companies working in this field. Likewise, the session will feature experts from the London Stock Exchange. This is both important and significant, particularly in the context of instances of Russophobia. The shares of some of the largest Russian gold and minerals mining companies, such as Polyus Gold, Norilsk Nickel, Polymetal, and Highland Gold, are quoted in London. In this session, the World Gold Council which represents the interests of some of the largest gold mining companies will also be taking part. This year, Russia has overtaken China in gold production. Against a backdrop of falling global production resulting from thinning resources, the WGC experts are predicting that Russian gold production will continue rising over the next 10 to 15 years. In the Russia session, Orsu Metals and Vostokgeologiya will present their proposed gold mining projects. For the first time, the forum will provide a platform for one-on-one meetings between mining companies, and investment funds, banks and high net-worth individual investors. It should be noted that in contrast to previous years, investors participating in the forum are actively looking for projects and are keen to meet with the represented companies. Based on our preliminary analysis, the overall volume of potential investments resulting from the forum is likely to exceed $1 billion dollars. This is a very serious indicator of investors’ interest in the region. It is our hope that the relationships built over the course of the forum will translate into genuine investments. We plan to publish news on deals on our portal, www.minexforum.com. This year, country sessions will be held during MINEX Eurasia. Kanat Kudaibergen, Chairman of AO Tau-Ken Samruk and Ruslan Baimishev, Director of the Subsoil Use Department of the Ministry of Investment and Development of the Republic of Kazakhstan will be presenting a report on the metals sector in the country. What possibility for cooperation do you see between Kazakhstan and the United Kingdom in this area? Although it may sound trite, the foundation of any cooperation above all else is trust and mutual respect. On the coat of arms of the London Stock Exchange are the words, Dictum Meum Pactum, ‘My word is my bond’. For Kazakhstan in general, and for its companies and organisations, it is critically important not only that they speak about projects and opportunities, but also about the risks that foreign companies face in Kazakhstan, and how they can be mitigated within the current legal framework. What is your opinion of the reforms to subsoil use legislation in Kazakhstan? Last year, a Subsoil Use Code, based on the Australian model regarded as the most progressive in the industry, was drafted, passed and signed into law. Do you think it will open the doors to further investment? Business often wants to sprint ahead faster than the state. The backwardness of government thinking and models and a lack of coordination between business and the regulators are problems common to many countries, not only Kazakhstan. Long-term risks understudied mineral resources, poor information disclosure, a lack of junior miners, and excessive politicisation are among the particular problems working against the mining industry. The passing of this new law is, of course, important for creating the right conditions for investors. For investors to enter the market, they should see clearly what the conditions will be like ten years ahead. How well the new law will work only time will tell. Let’s be patient and work to see the day when the word ‘Kazakhstan’ sparks a real interest in the eyes of international investors. Finally, can you say a little about MINEX Central Asia, which will be taking place in Astana in 2019? What should we expect from the 10th Central Asian Mining Forum?